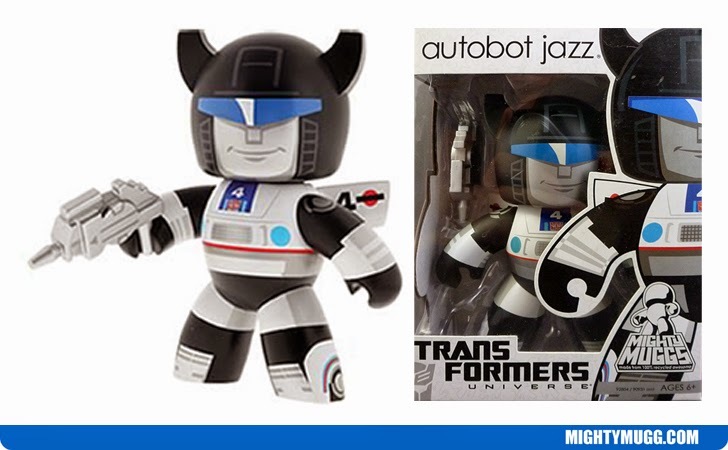 Autobot Jazz is optimistic, able to take things one step at a time, a big talker and a loyal member of the Autobots. He often gets picked on by his leader Optimus Prime for his great attitude. Although he is small in size, much like his fellow team member Bumbleebee he will never back down from any opponent. He transforms into a sports car. He was introduced to the big screen in the 2007 film Transformers!